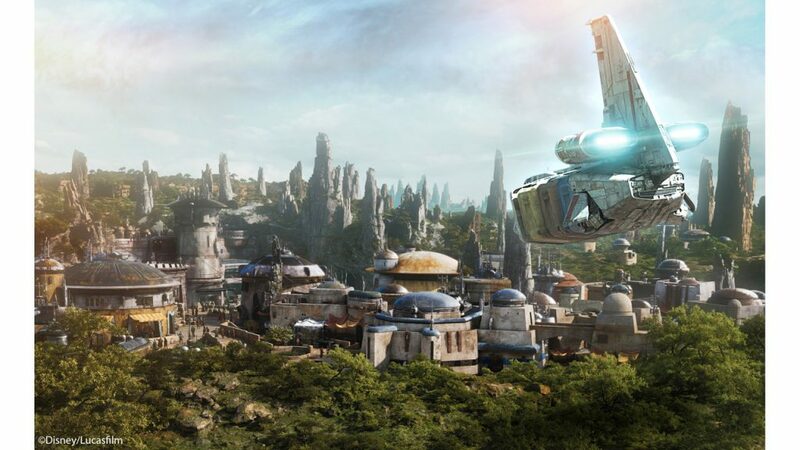 When visiting Star Wars: Galaxy’s Edge, you will be able to explore this entire new land with all of your senses. Visitors will be able to taste otherworldly flavors and enjoy the tantalizing scents of our many food and beverage locations. 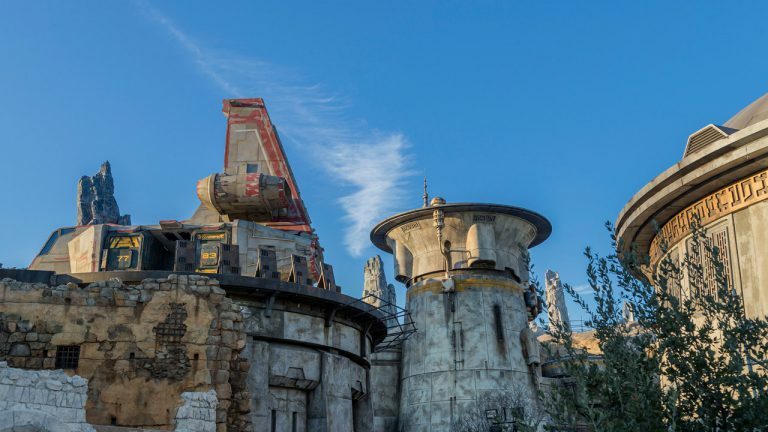 Among the newly revealed list of venues at Star Wars: Galaxy’s Edge is Docking Bay 7 Food and Cargo. Cookie’s food shuttle, now docked on the roof of the hangar bay, has lowered a series of pods into the hangar, carrying precious cargo – Chef Tuggs’ finest ingredients gathered from across the galaxy. Situated inside Docking Bay 7, other pods from Black Spire Outpost provide other produce, provisions, and equipment for all incoming freighters to the hangar. Guests may choose to dine indoors in the hangar bay or outside in a shaded courtyard. From the early days of the design of this new land, we partnered with the amazing team from Disney Parks Food and Beverage Concept Development to provide innovative and creative food and beverage offerings that enhance the immersive storytelling of the various dining establishments located in Black Spire Outpost. 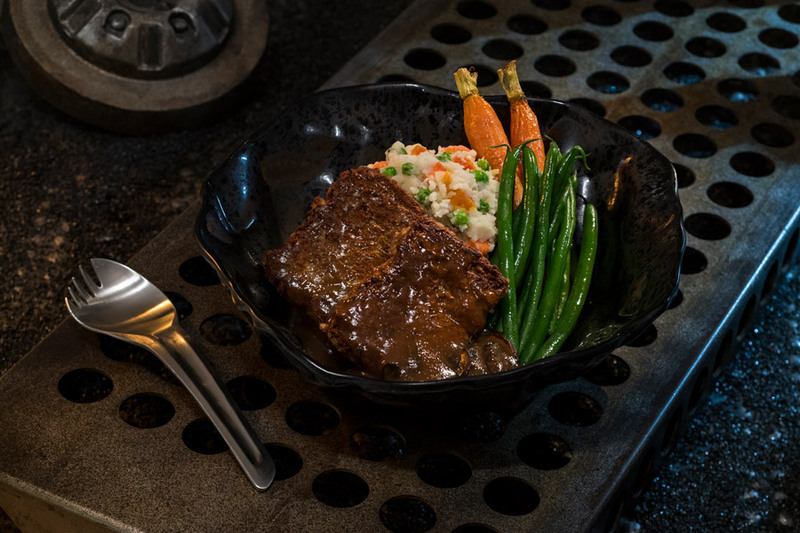 Throughout the outpost, Guests will encounter familiar flavors but sometimes with unexpected and surprising colors and textures. The unique presentation takes Docking Bay 7 Food and Cargo to the next galaxy. Along with the Food and Beverage Concept Development team, we’ve selected just a few of our favorites to share with you today, including the Ithorian Garden Loaf, a plant-based “meatloaf” that comes served with roasted vegetable mash, seasonal vegetables, and mushroom sauce. Another hearty option is the Smoked Kaadu Ribs. 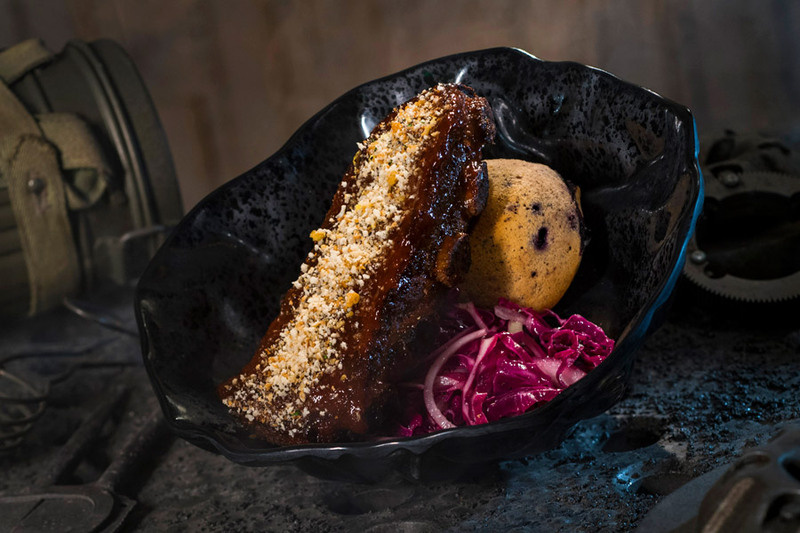 These country sticky pork ribs come with a unique blueberry corn muffin and cabbage slaw. Stay tuned for more details.